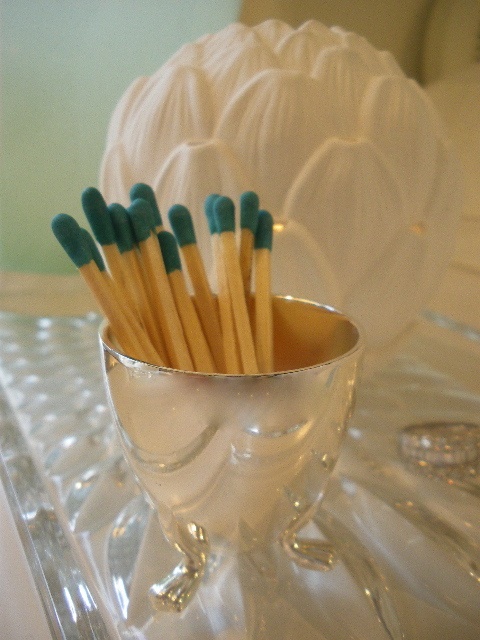 Love the turqouise tips of the matchsticks! So neat! Oh my gosh ....... that is the most adorable idea ever. I' m going to hunt around garage sales for something almost as adorable as that egg holder. The feet are way too cute and the turquoise matches are the best match..... "get it?".....match... Okay, sorry. 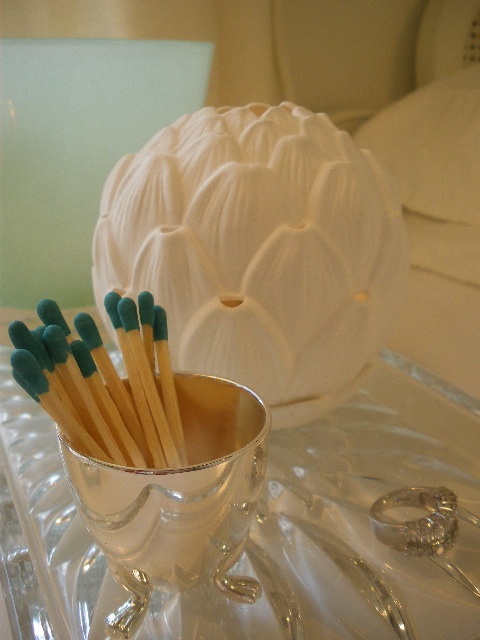 love the matches, as well - great display idea.. It really is the littlest things taht make the biggest difference sometimes. Very beautiful!! Hi there! I just discovered your blog and I absolutely LOVED everything I saw here, so I'm adding you to my favorites right now! =) Keep these great posts! love the blog. love the look. your house is fab and your closet is to die for...already sent that link to sis in law for her to drool over. love love love the framed handle sacks. great idea, lady. thanks for being you. new follower so i'll so be back. giddy. I am knock-down-drag-out impressed with you, your home, and your blog! You talented girl, you! I just jumped over from Courtney's blog to stalk, er, I mean check you out! (c: I wanted to email you, but your profile button isn't working...darn it! Suffice it to say, I will definitely be back, often! nothing like the details to make things better! 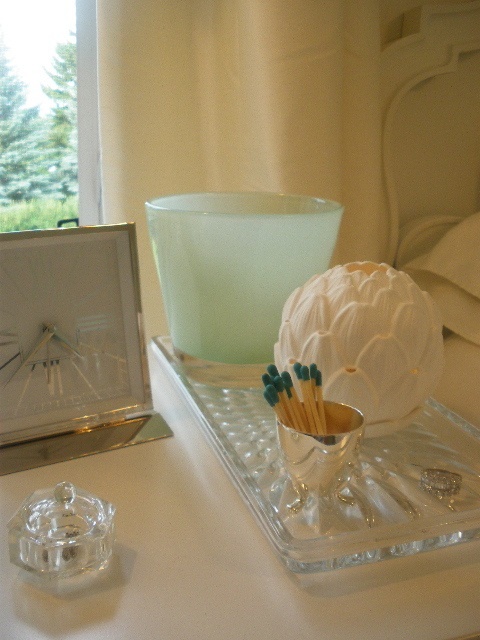 Gorgeous...love that the matchstick tips are blue...perfect for the room!! OK, this may sound stupid. But how do you light the matches? Do you have something near by to strike them against? Hi Mary, Not at all stupid! I put the less pretty packaging with the strike strip in the green glass container behind.